Here are a few photos of some pieces which have had their makeover and are now in place in their new homes. Large antique cabinet painted in Old White with distressed finish. 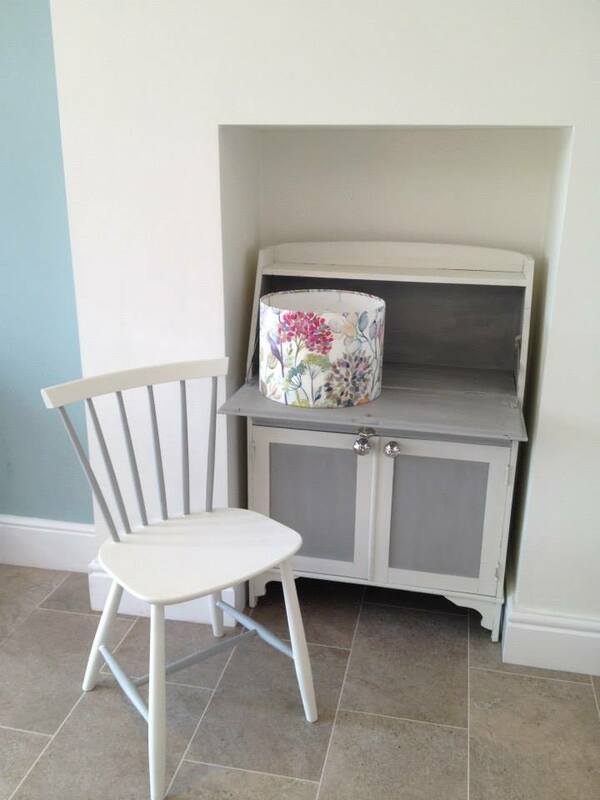 Lovely Vintage Bureau, painted in Annie Sloan Provence and Old White. 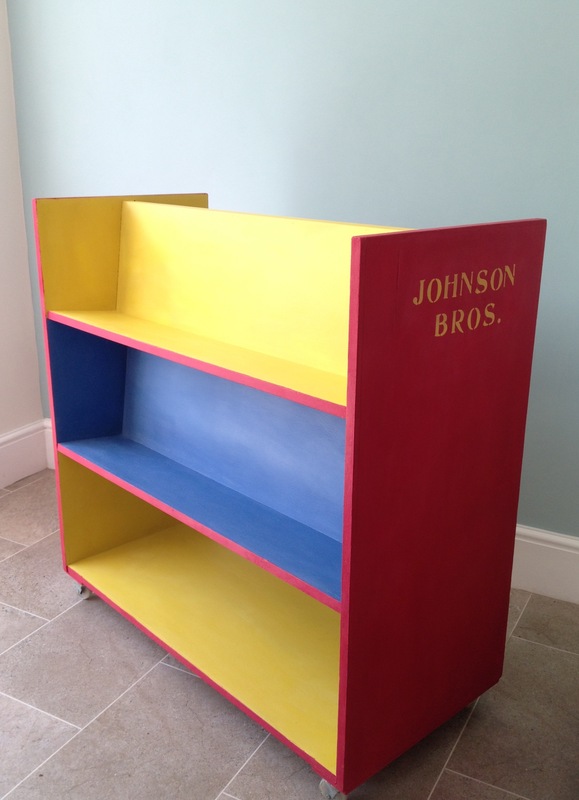 Bookcase painted in a combination of Old White and Original. Distressed and waxed for an aged finish. 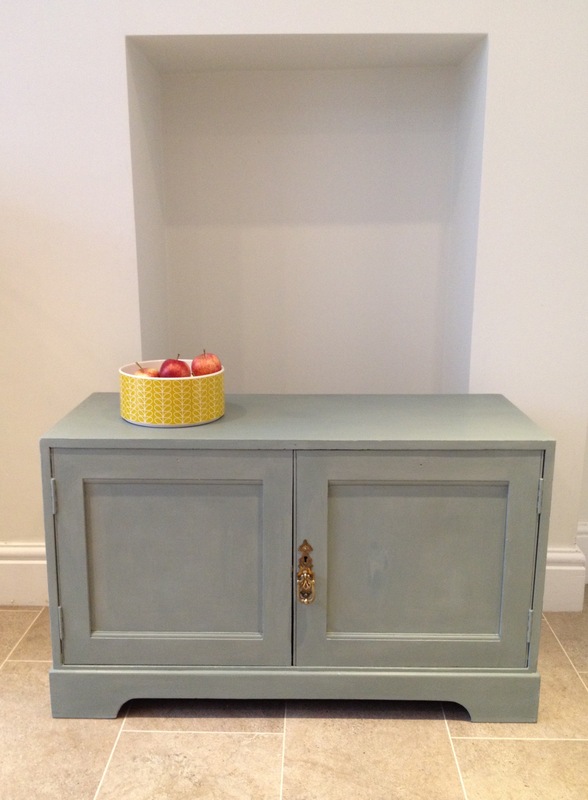 Retro Bar Cabinet, painted in Annie Sloan Paris Grey (outside) and Louis Blue (inside). 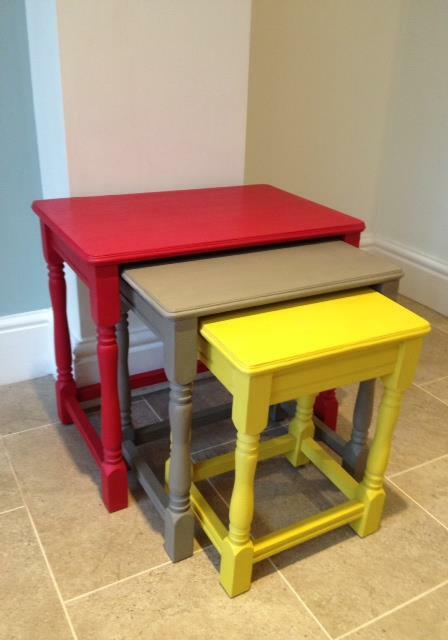 Found, refurbished and painted to order. Dark wooden, stained cabinet makeover with French Linen and Old White. 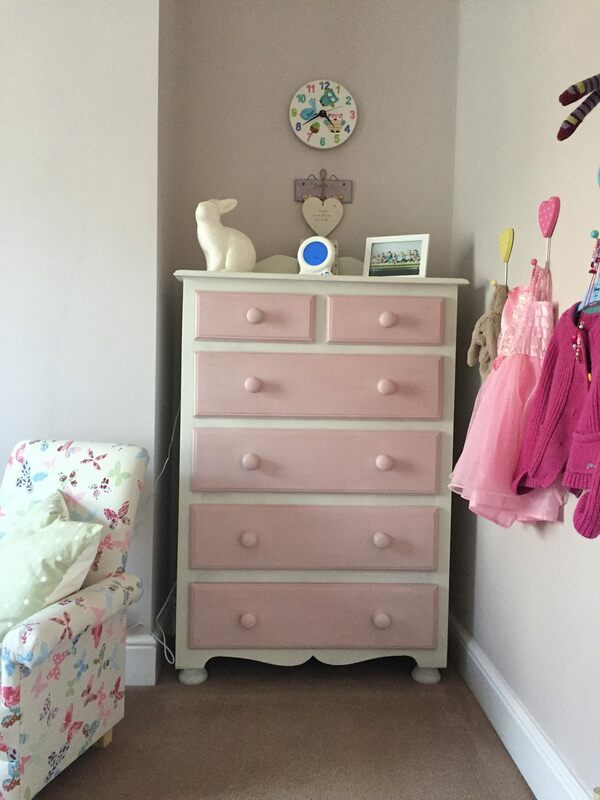 A pair of Bedside Cabinets that were a pinky pine, but are now a much more elegant Old White with sparkly new knobs. This blanket box had a not-so-pretty veneer finish, but has been transformed with Paloma chalk paint and clear wax. 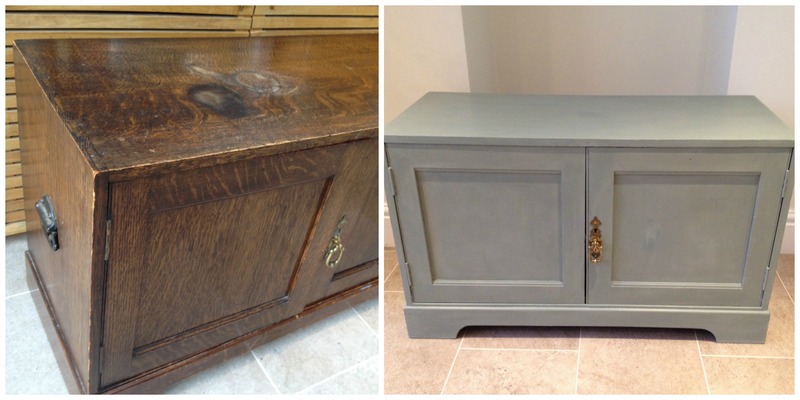 Dark wooden, stained cabinet, madeover with Annie Sloan Duck Egg Blue and Clear Wax. 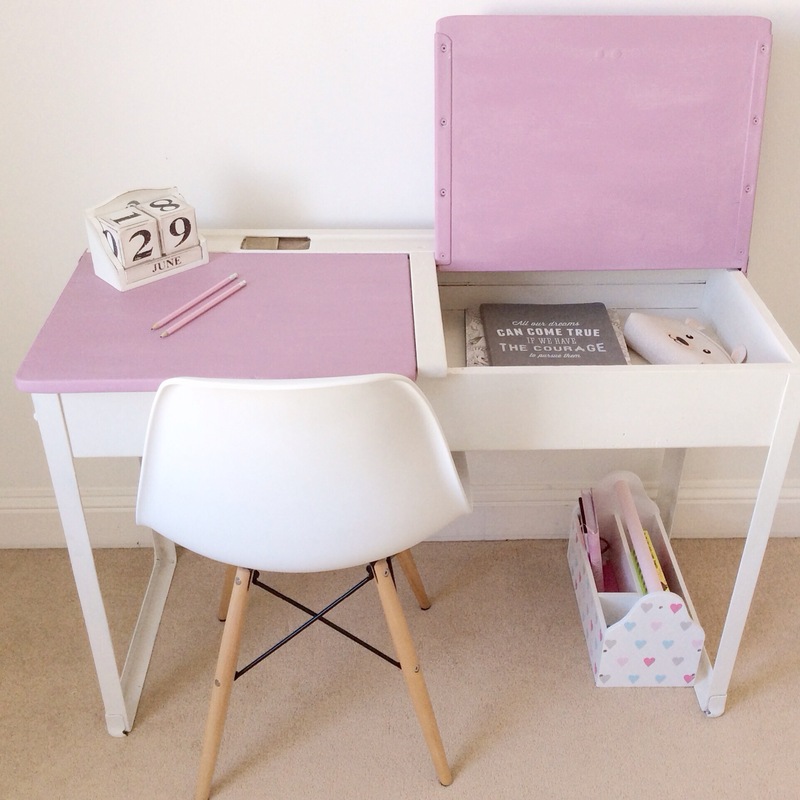 Vintage School Desk painted in Old White and Henrietta. 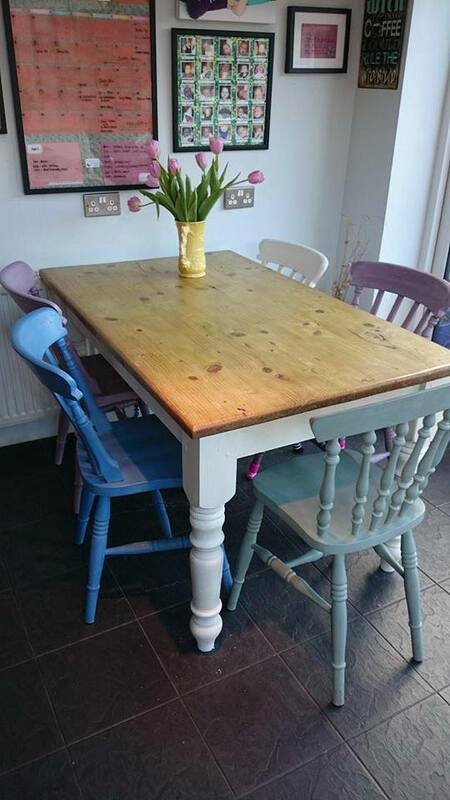 Pine Table sanded, varnished and painted in Old White. 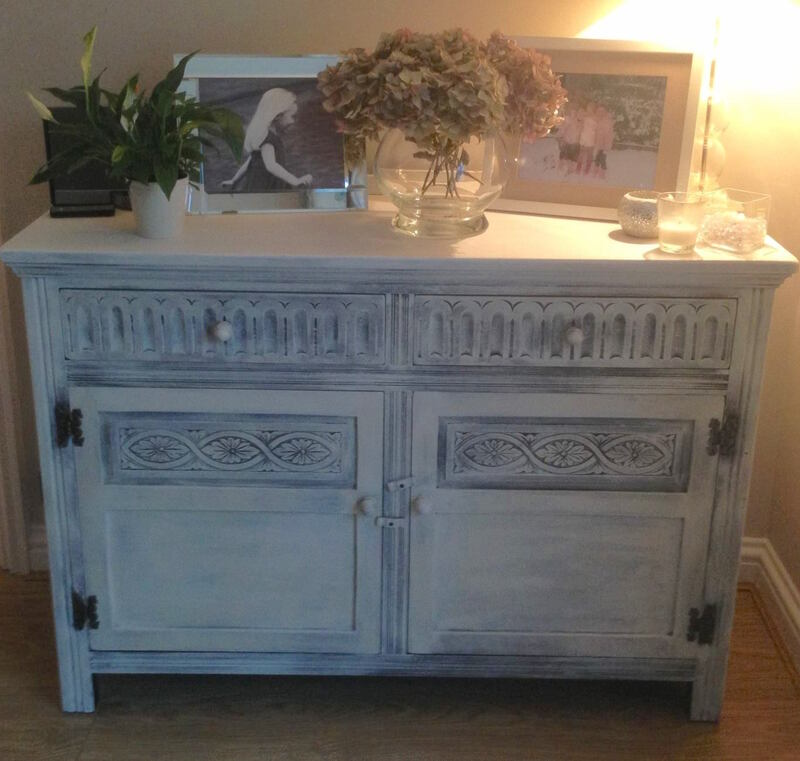 Dark wooden sideboard madeover in Old White and distressed. 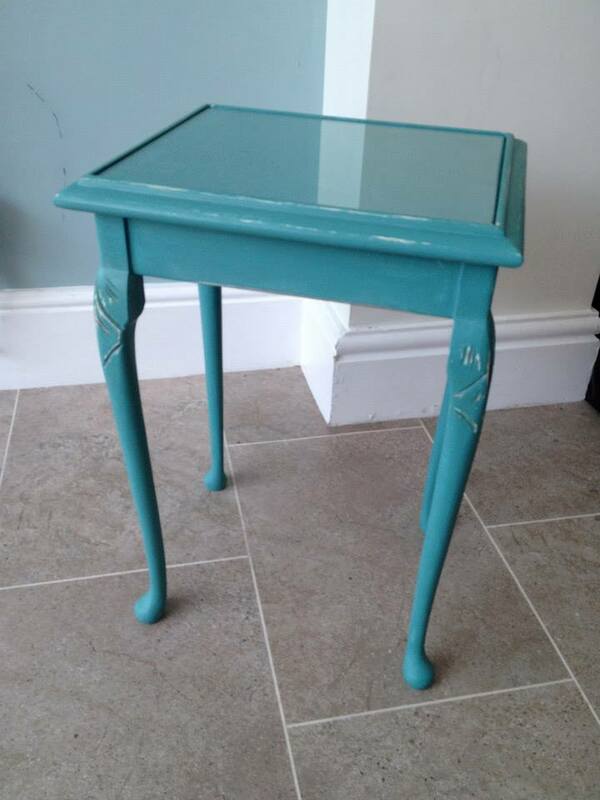 Little side table in Provence Annie Sloan paint, with clear and dark waxes. 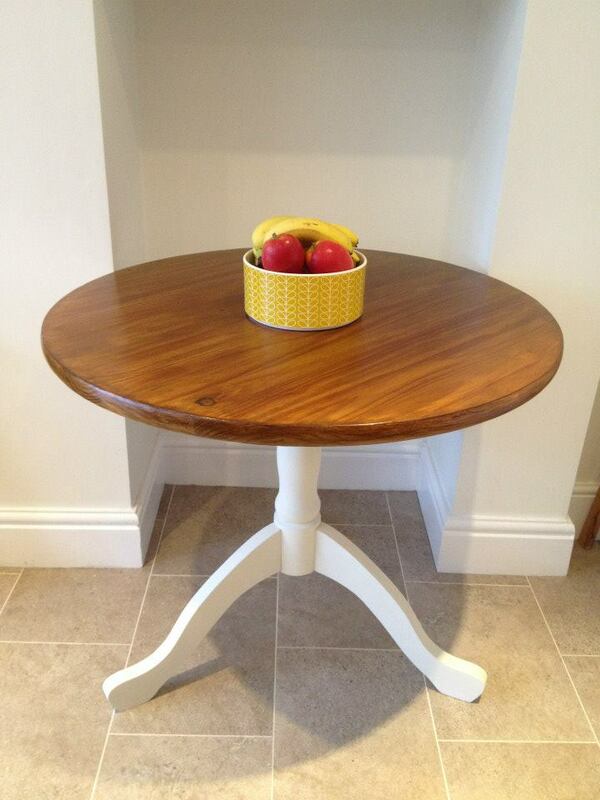 Table sanded and painted in Old White. Chairs are painted in a gorgeous combination of Greek Blue, Emile, Duck Egg and Old White. 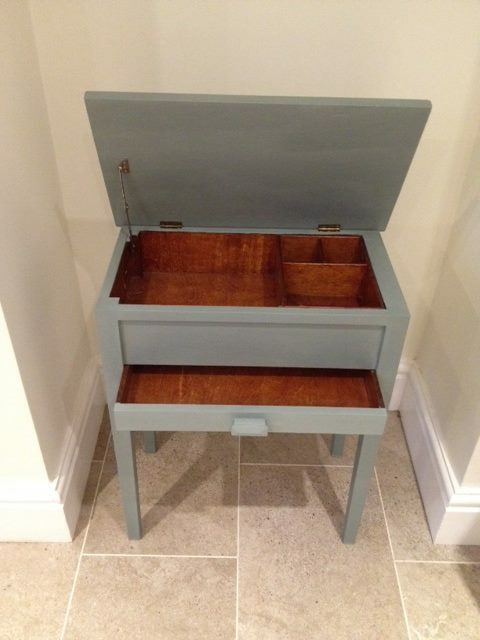 Sewing box revamped in Duck Egg Blue. 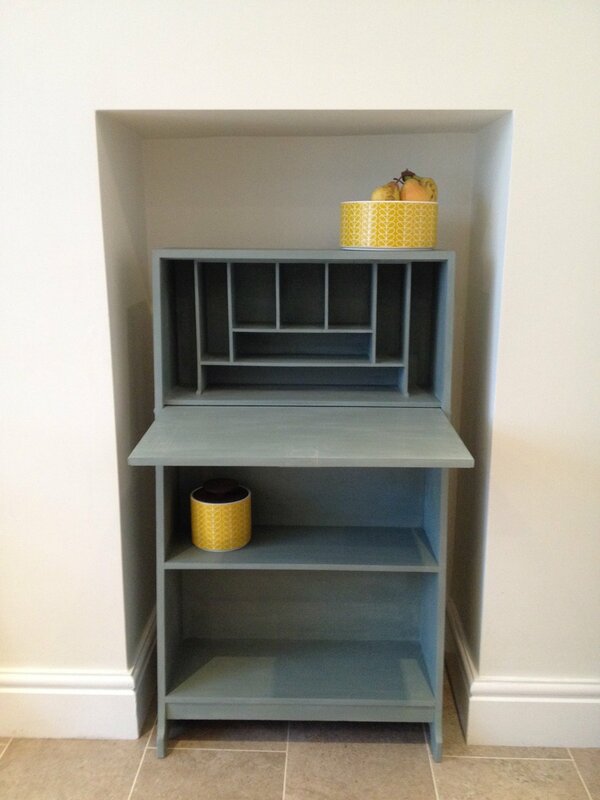 Dark wooden bureau brightened up in Duck Egg Blue. 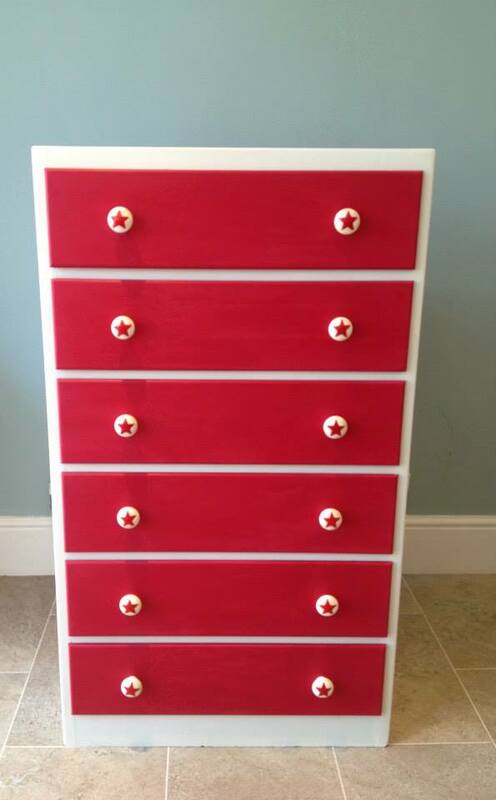 This chest of drawers started out as a tired, orangey pine. 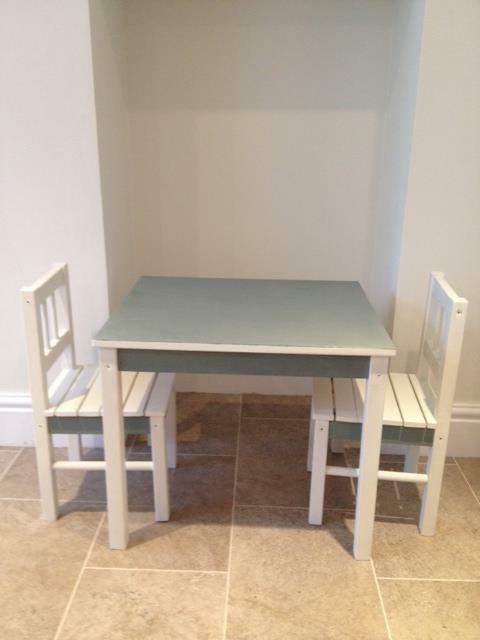 Now a rather more stylish look, perfect for a little girl’s bedroom. 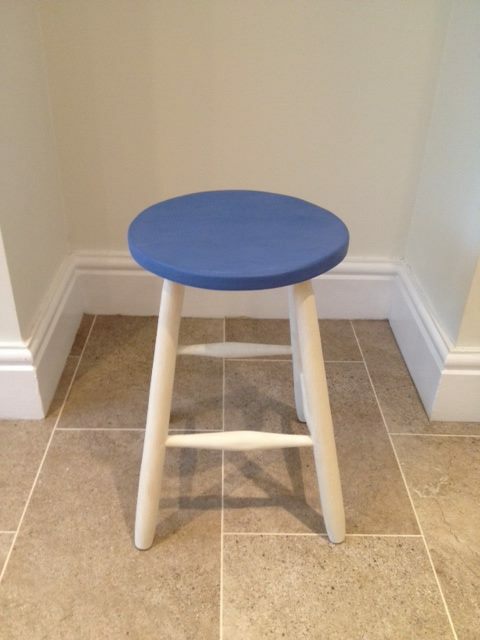 Painted in Old White and Antoinette Annie Sloan chalk paint, lightly distressed and waxed. 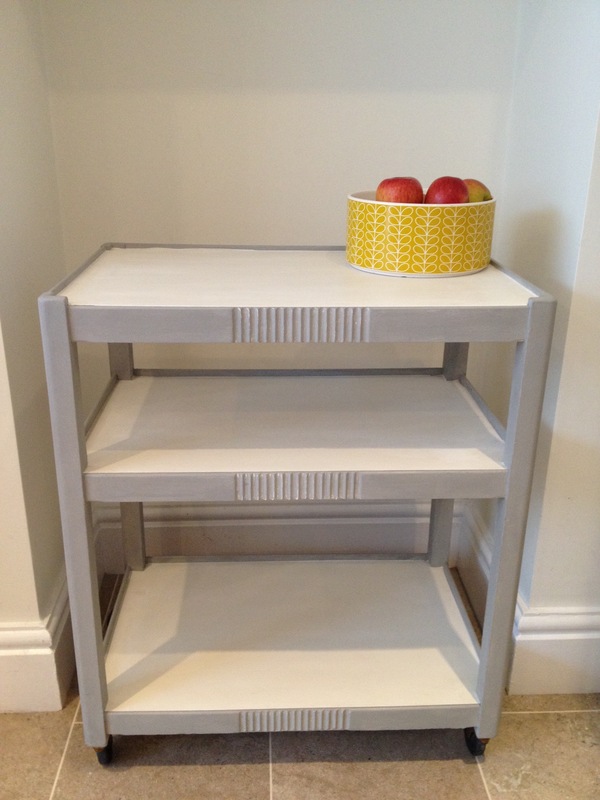 Vintage trolley painted in Annie Sloan Old White and Paris Grey. 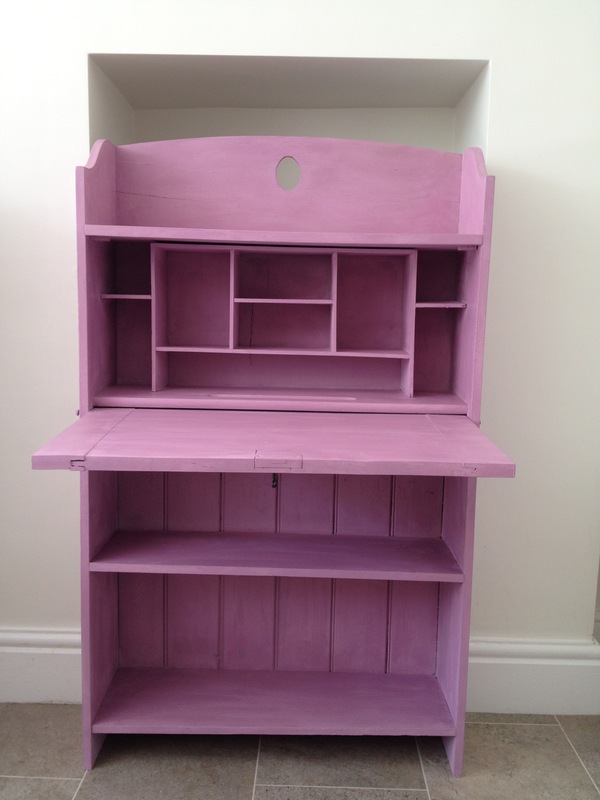 Bureau painted in Annie Sloan Henrietta.